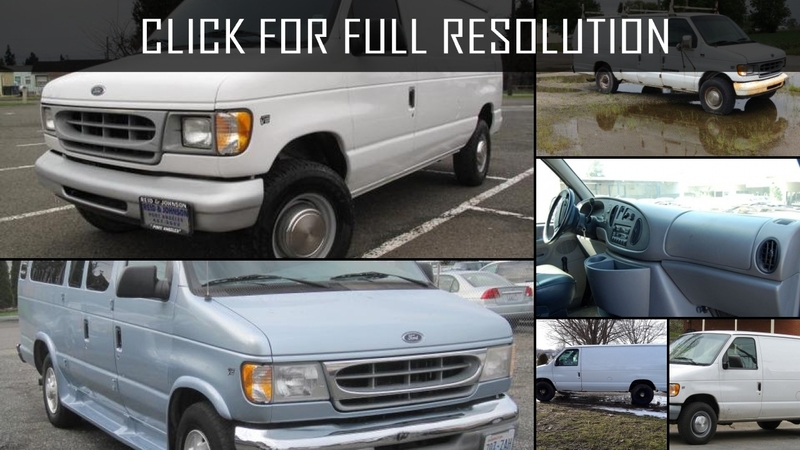 Ford E350 — the van with great traditions. 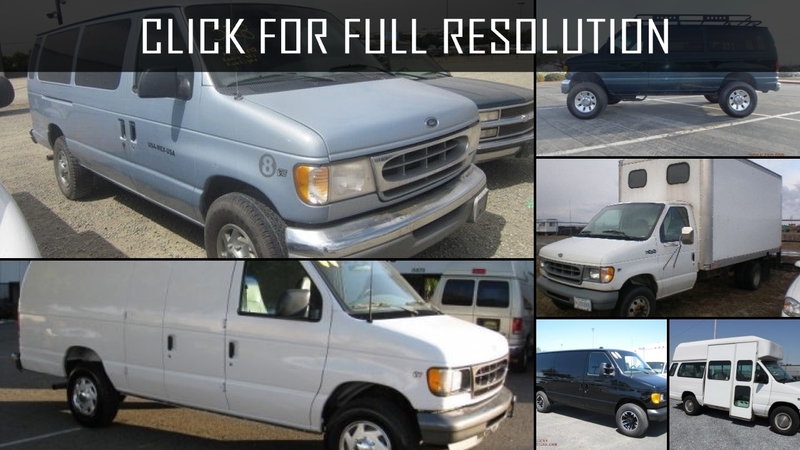 It is based on a platform of the model which was debuted in 1992. 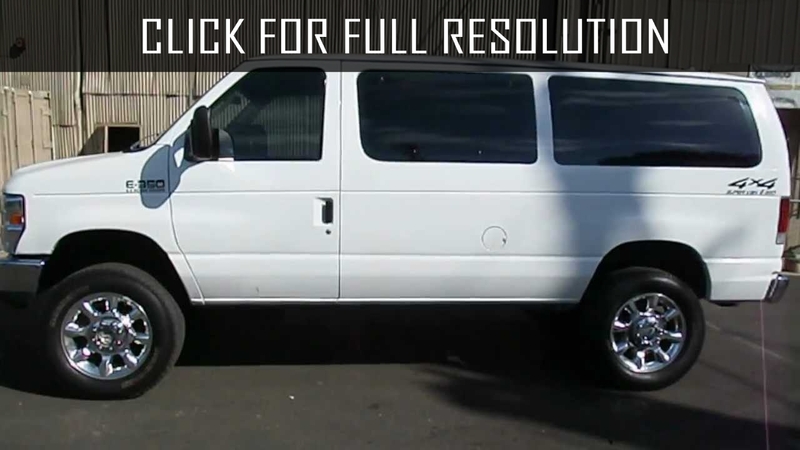 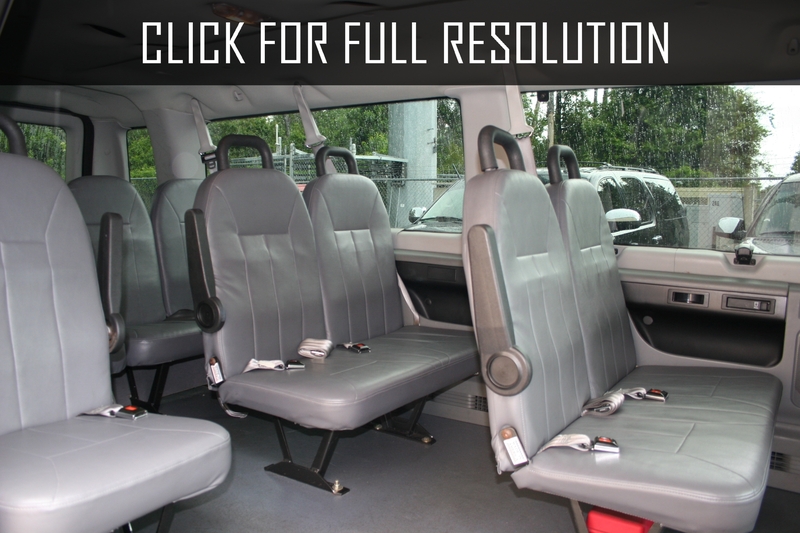 The passenger version of Ford E350 accommodates up to 15 people. 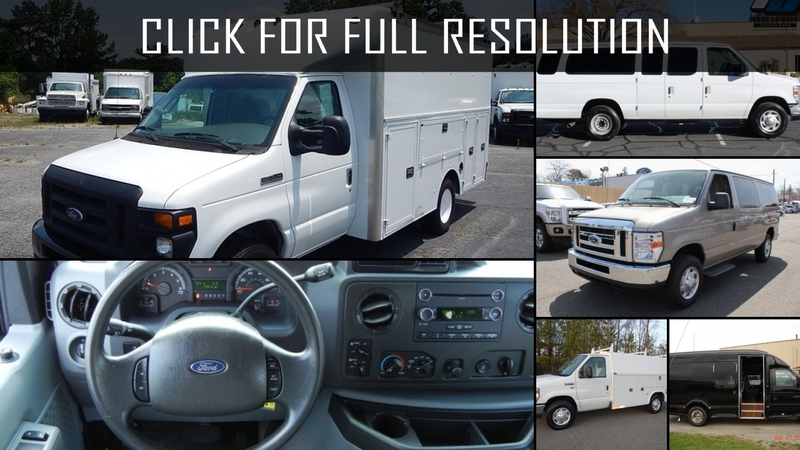 Stable management is provided with 255 hp, 5.4 liters V-8 engine. 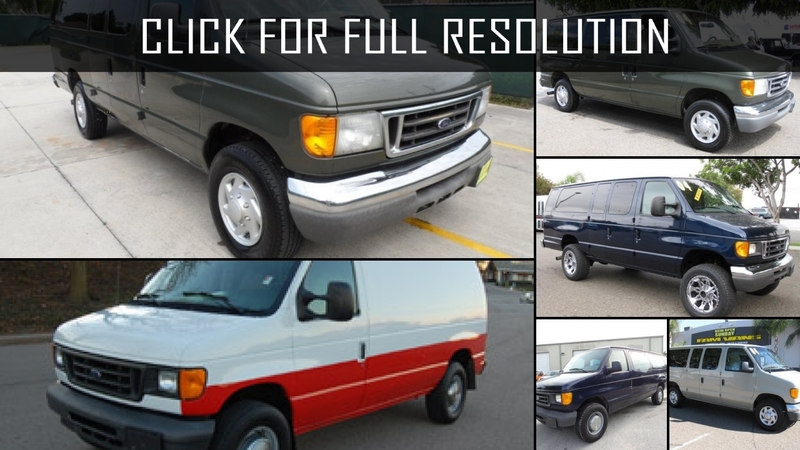 Other vans of E series are equipped with 225 hp, 4.6-liter V-8 motor. 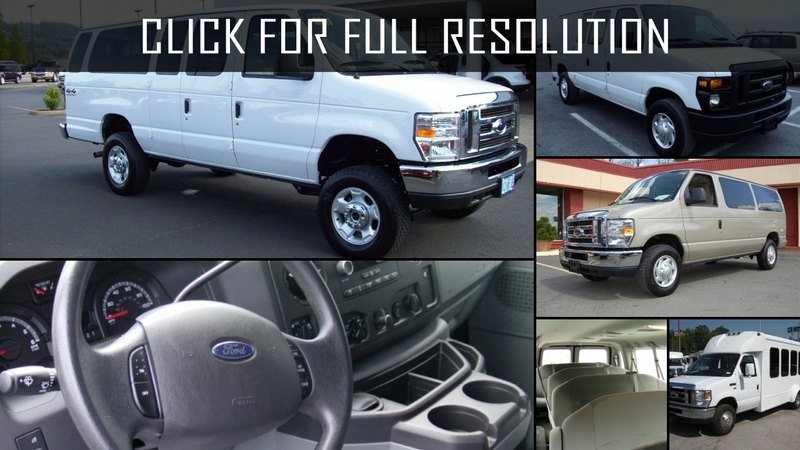 Also available 6.0-liter V-8 turbodiesel engine power of 235 horsepowers. 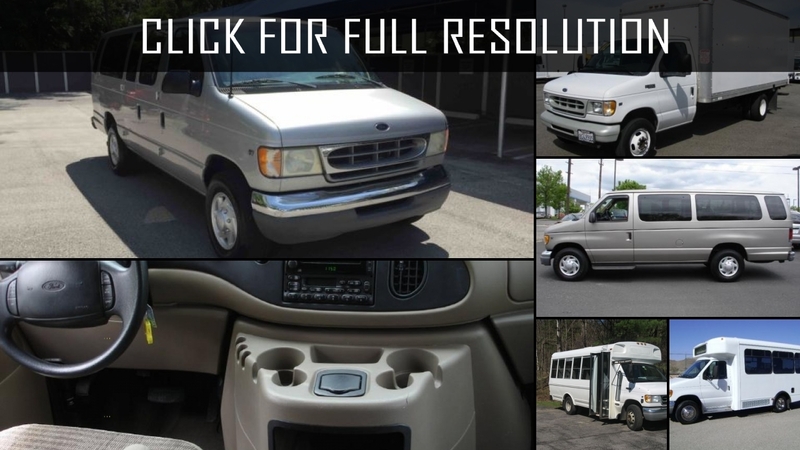 Ford E350 is also available in a cargo version, as well as E250. 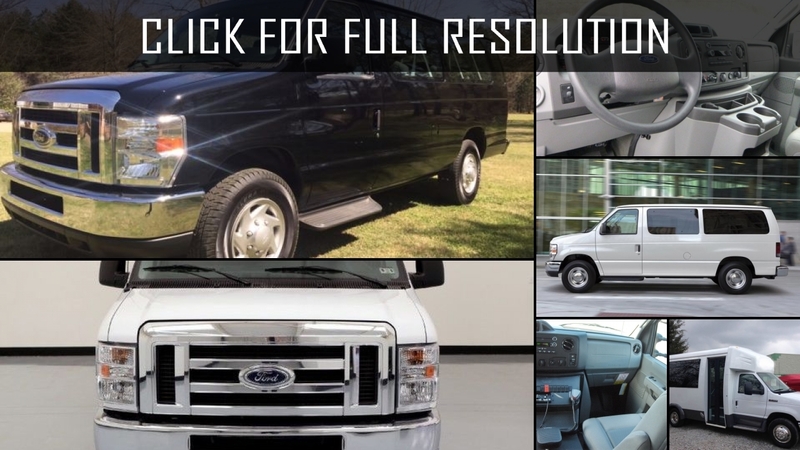 The cost of Ford E350 begins at $ 30,585 with XL trim level of configuration, compared with E150 XL ($ 27,055) which will be more expensive. 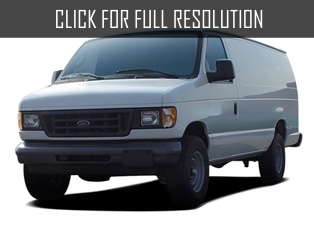 The higher carrying capacity the more expensive the cost of the van. 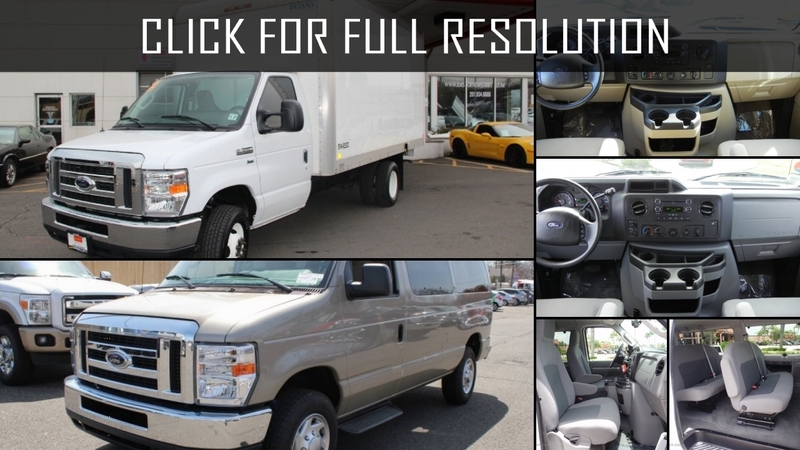 XL level includes intermittent wipers, hinged or sliding cargo doors, automatic locks and windows, tilt and turn side glass, 5.4-liter V-8 engine rated at 255 horsepower, four-speed automatic transmission, stability control system, black bumpers and grille, air conditioning, vinyl flooring, 12-passenger seats covered with cloth or vinyl, four-speaker AM / FM stereo with clock, front bucket seats, a 35-gallon fuel tank, power steering and four-wheel anti-lock brakes system. 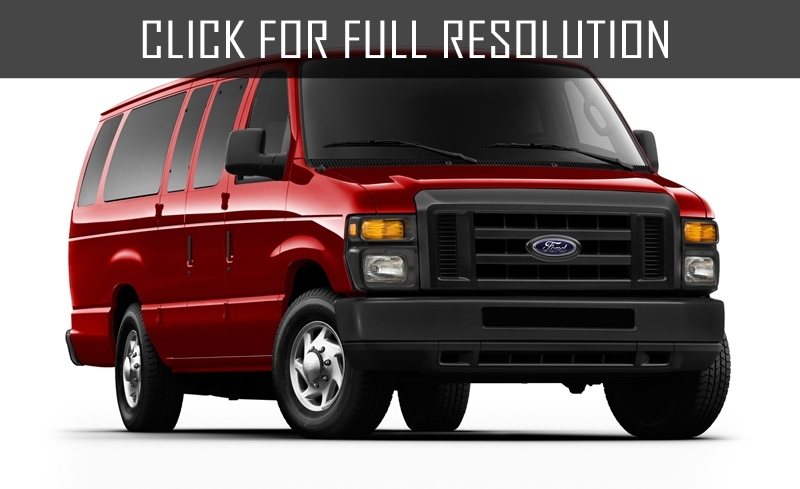 For those who want to transport even more people, Ford offers a longer version of the van - Ford E350. 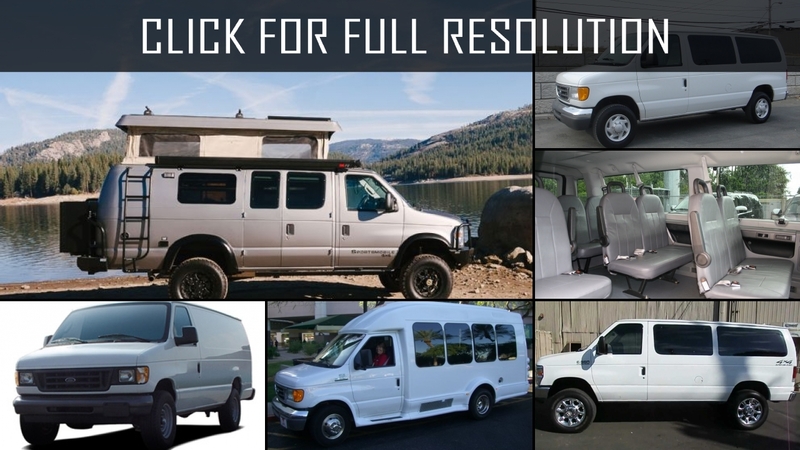 It is expanded in terms of a number of places which is 15 and offers the same standard equipment in XL and XLT forms. 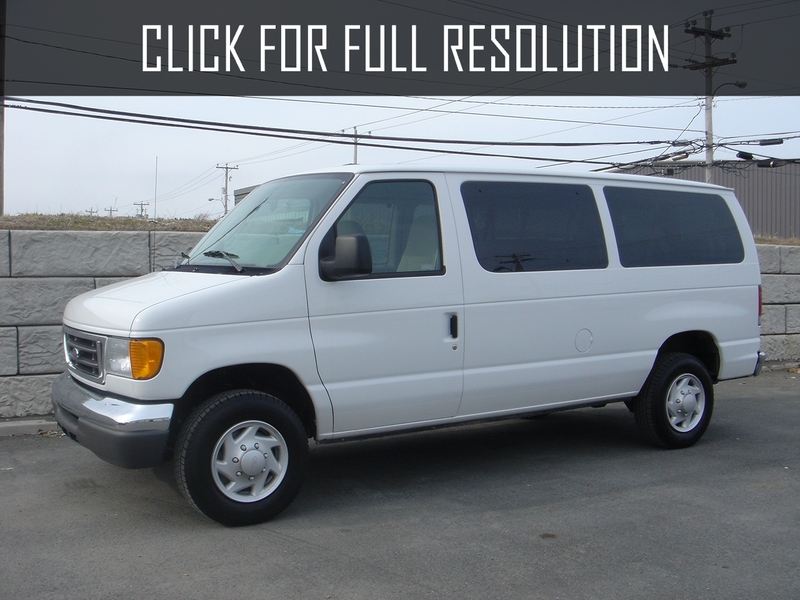 Ford E350 received the processed chassis and steering so that the van would be more flexible and sympathetic. 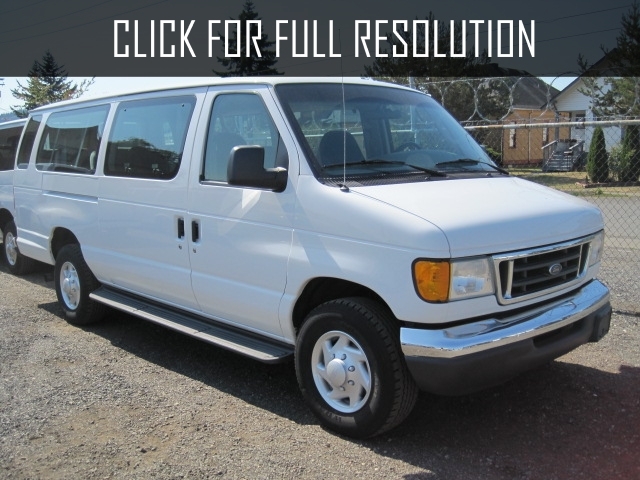 Ford E350 with an engine volume of 5,4-liter received standard control of stability; other vans of E series are offered with a regulation of traction effort. 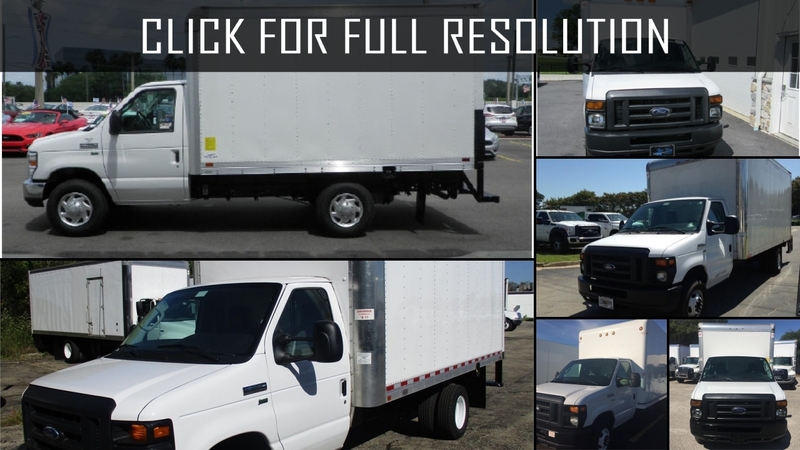 Structural changes increase loading capacity. 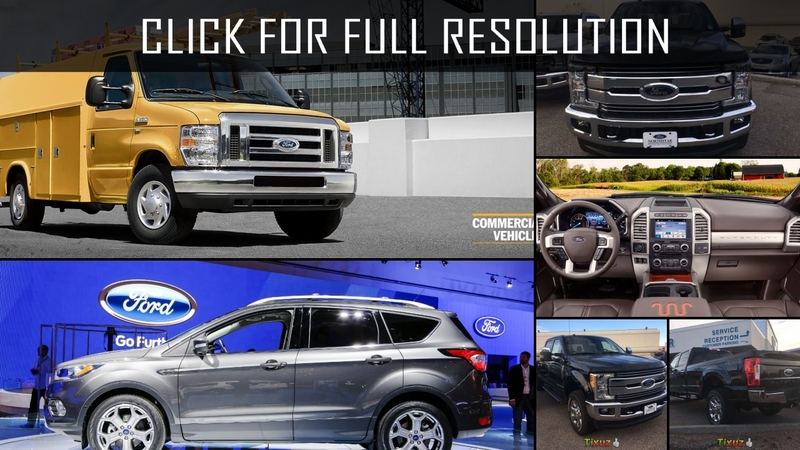 Appearance receives the new design inspired by Ford Super Duty pickups. 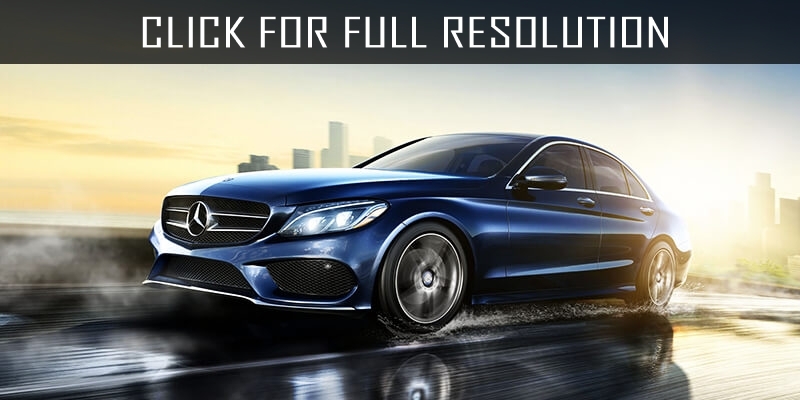 At last, the diesel engine (volume of 6.0-liter diesel engine with V-8 turbo supercharging) comes back to the list of the additional equipment. 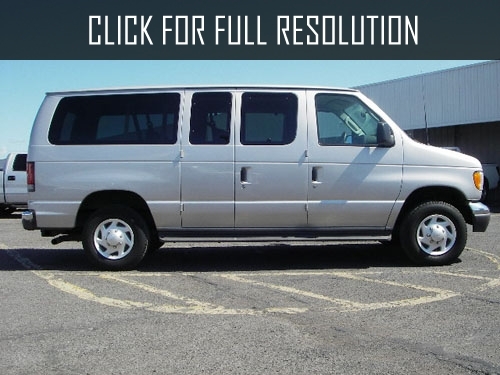 Security is provided by dual front airbags, three-point seatbelts for all passengers and four-wheel anti-lock brakes, which are standard on all models. 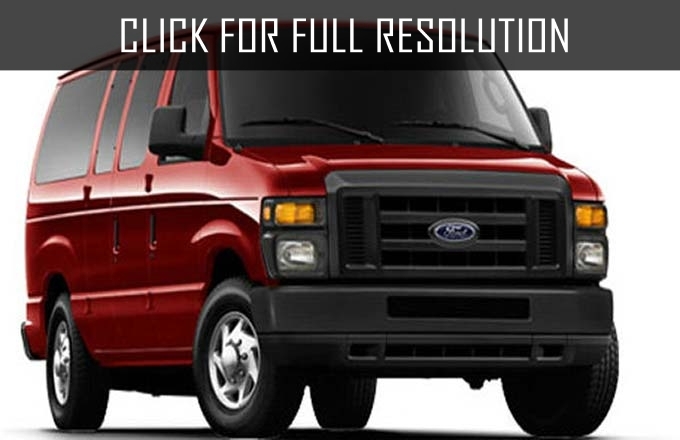 Traction control is mandatory for all models of Ford E350 model with 5.4-liter V-8. 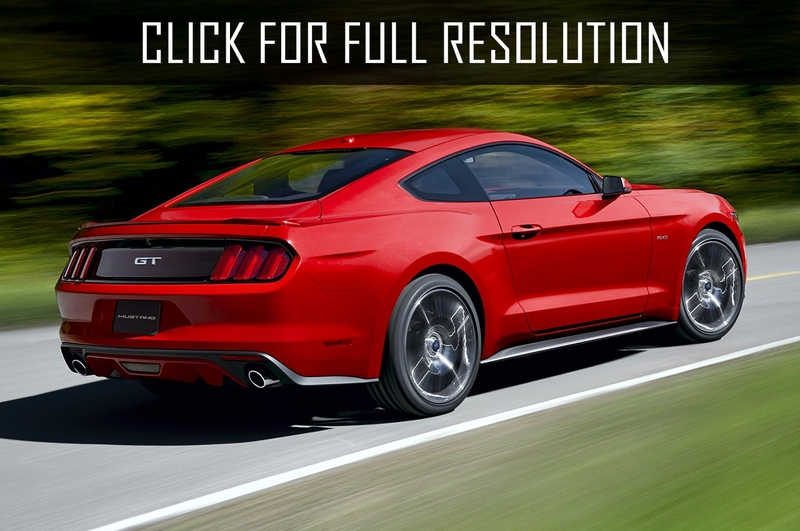 Electronic model 350, powered by 5.4-liter V-8 motor also receives standard stability control. 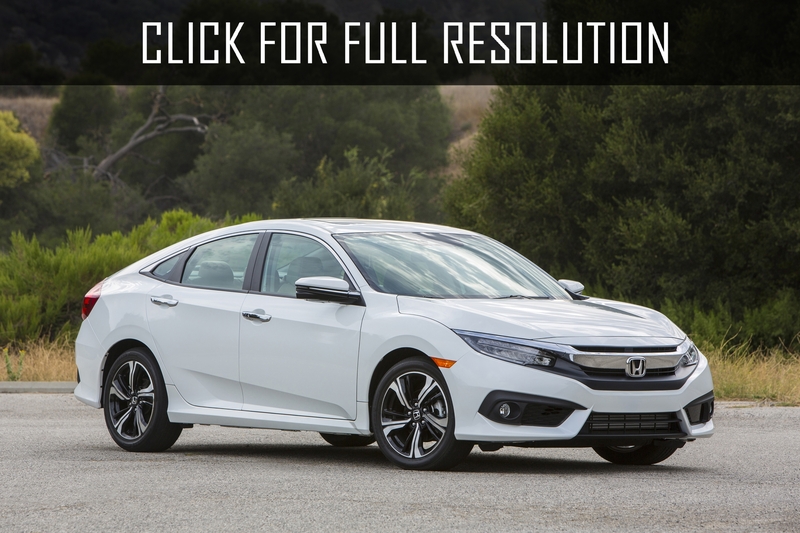 Side airbags are not available. 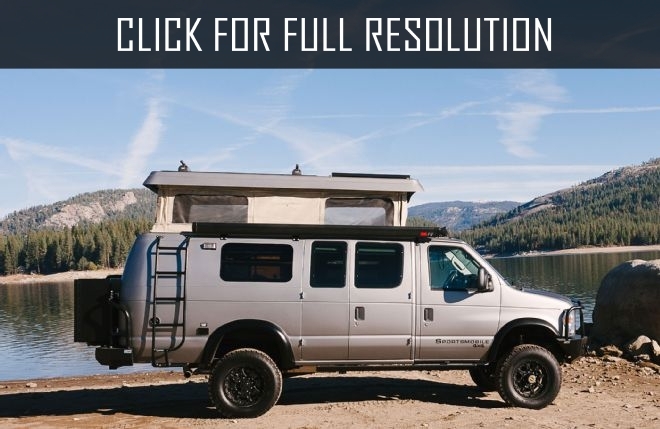 Large Ford vans are not intended so much to meet the driver's needs, but rather to move large numbers of people and large amounts of property in prosperity and in relative comfort. 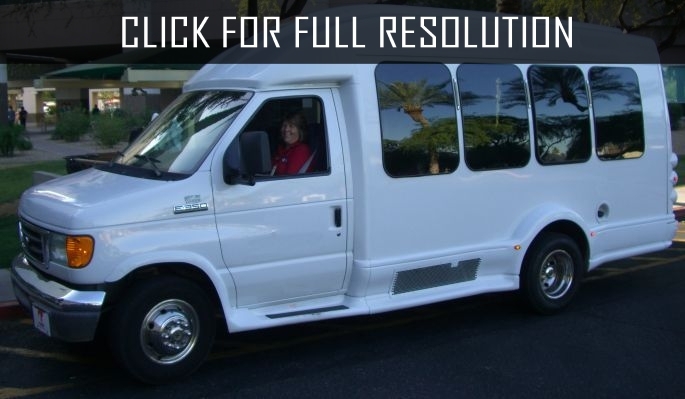 In the automotive world, Ford E350 takes place, which is located between school buses and minivans. 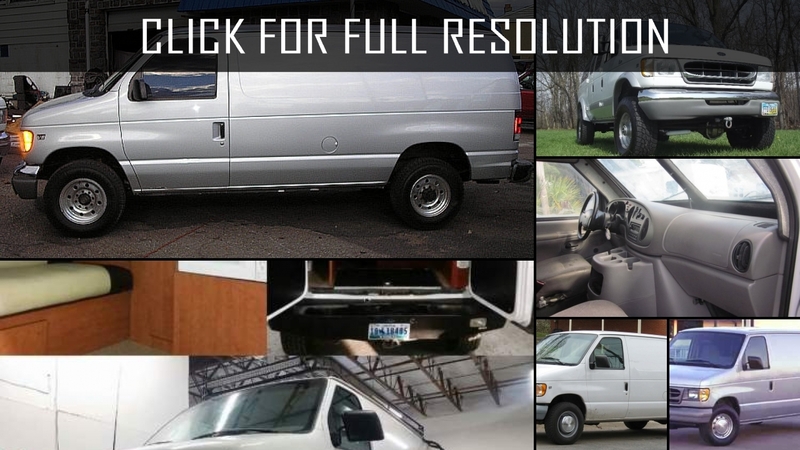 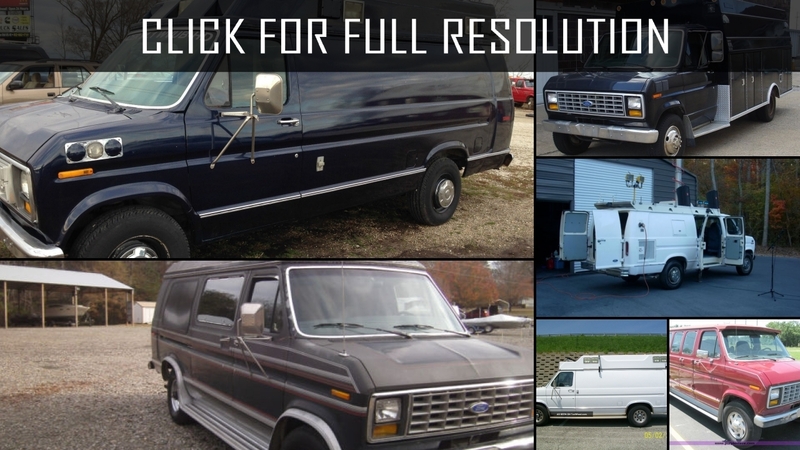 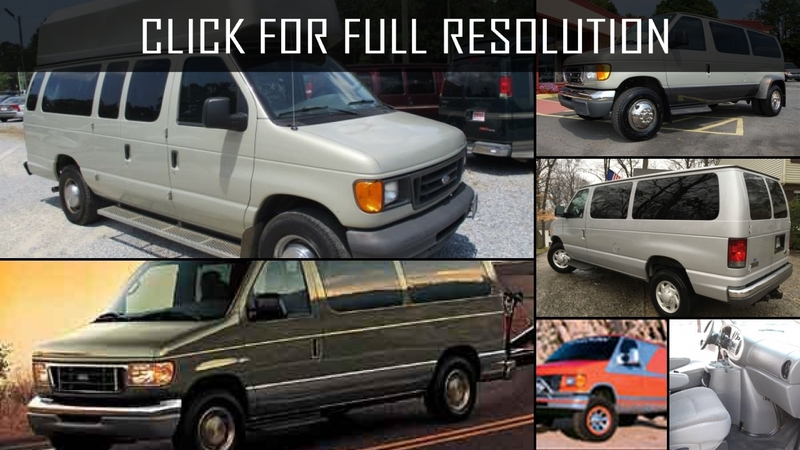 Below the list of all 73 modifications of Ford E350 and production years from 1984 to 2017. 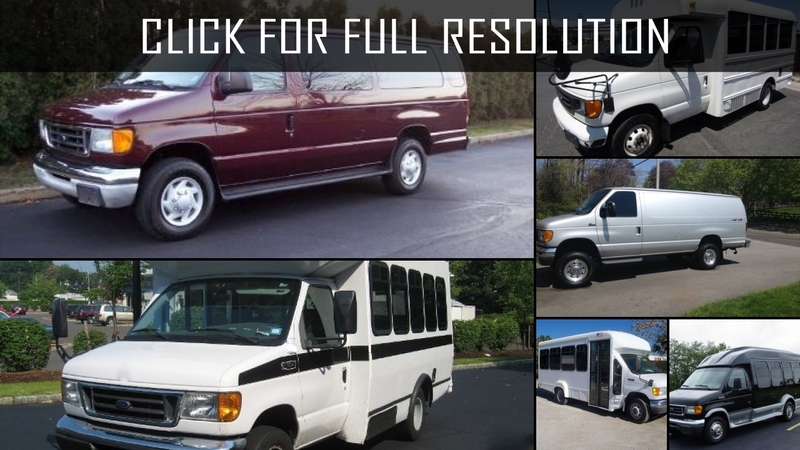 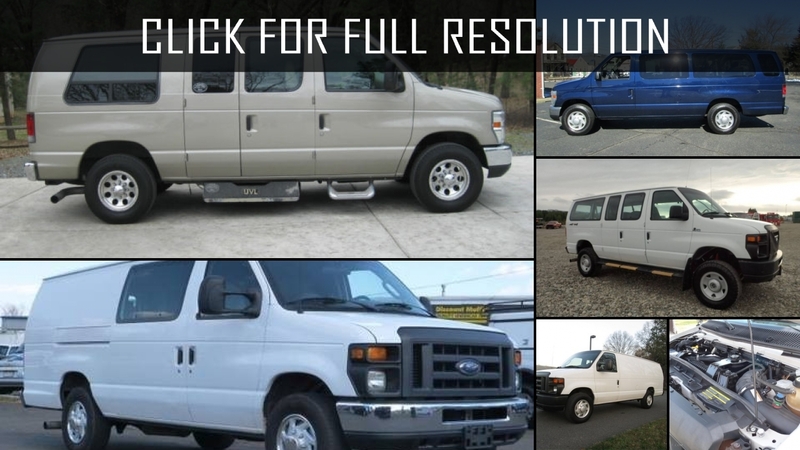 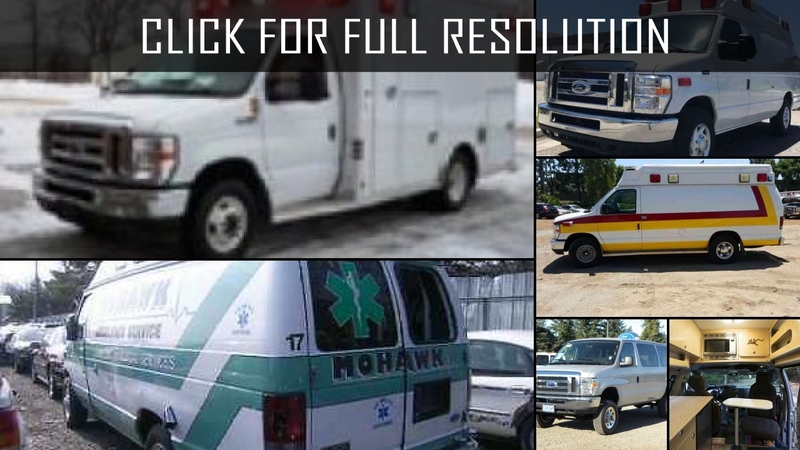 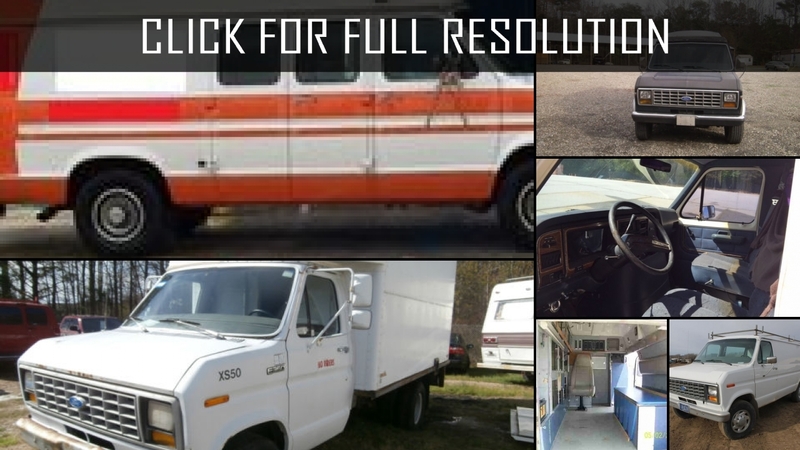 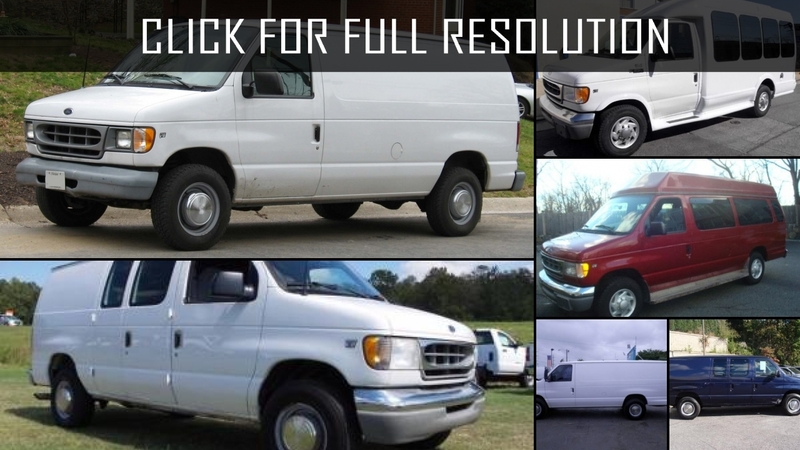 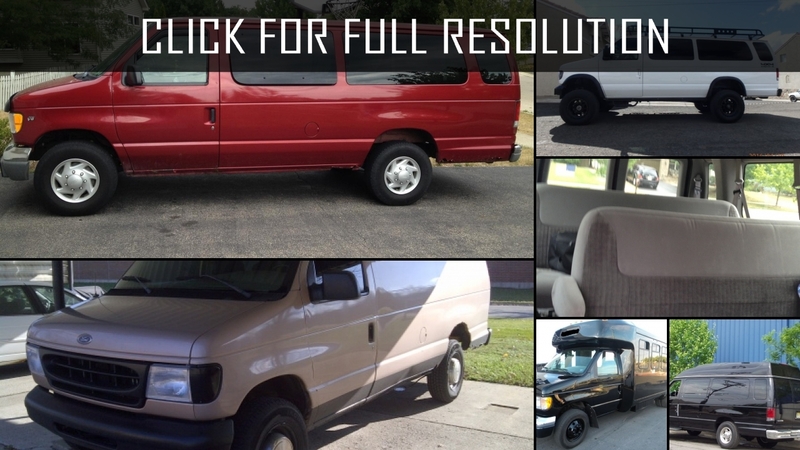 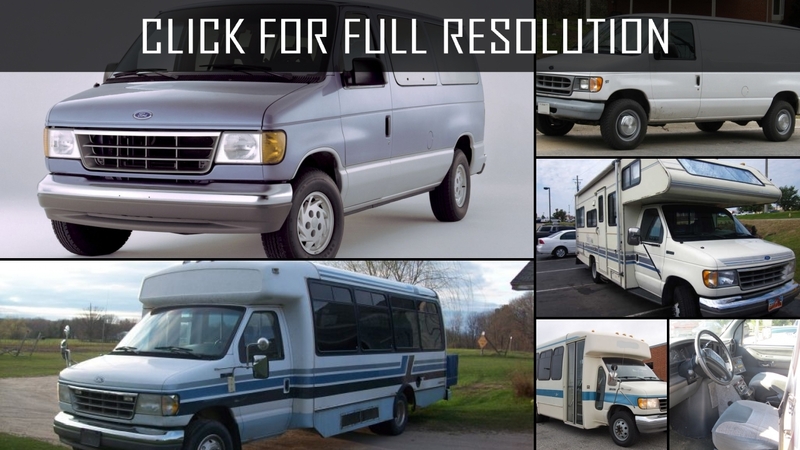 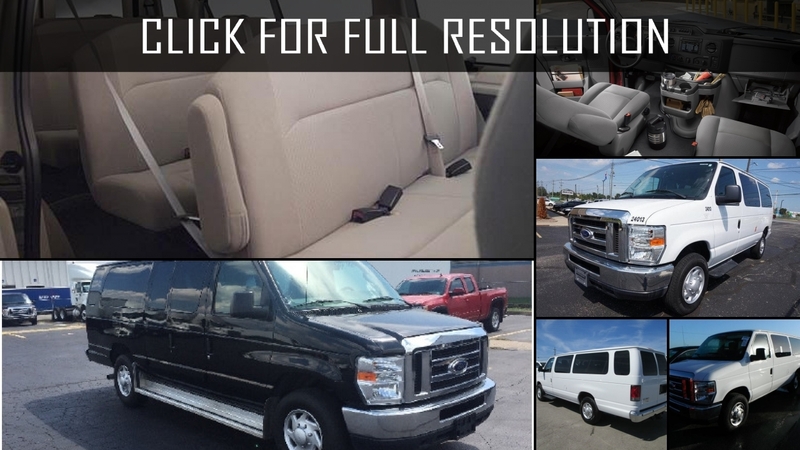 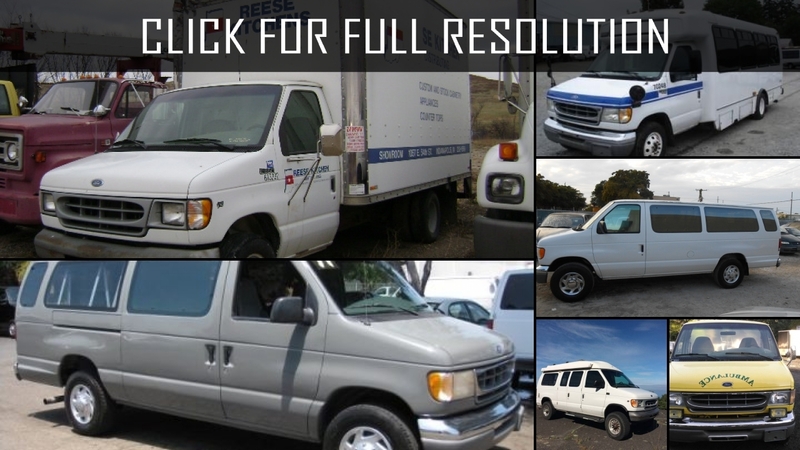 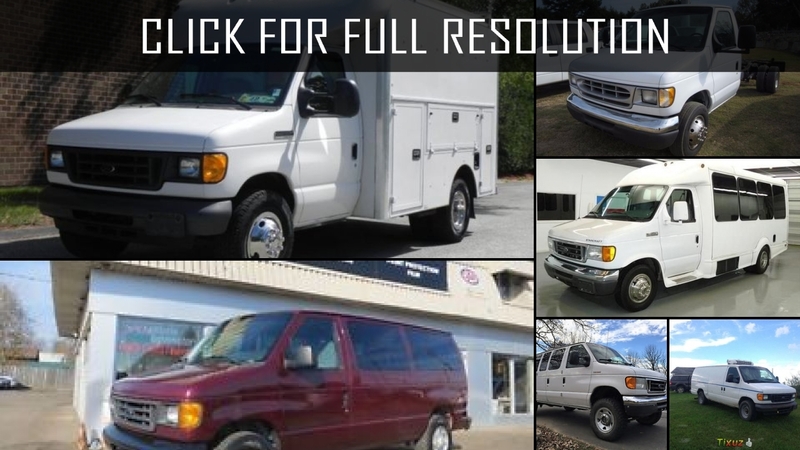 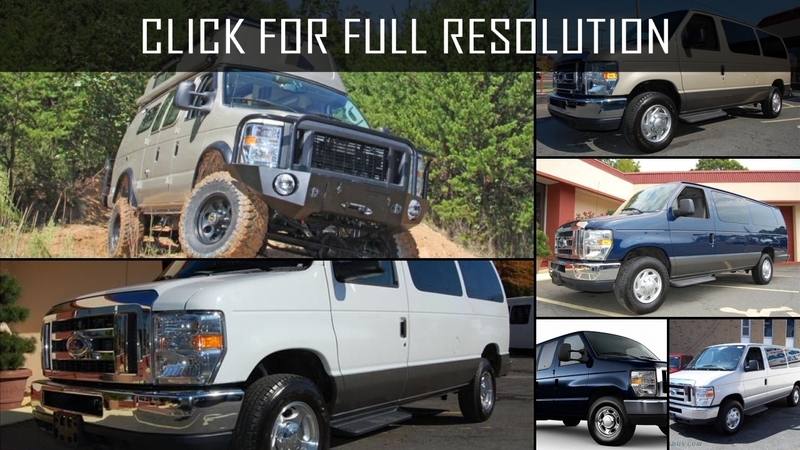 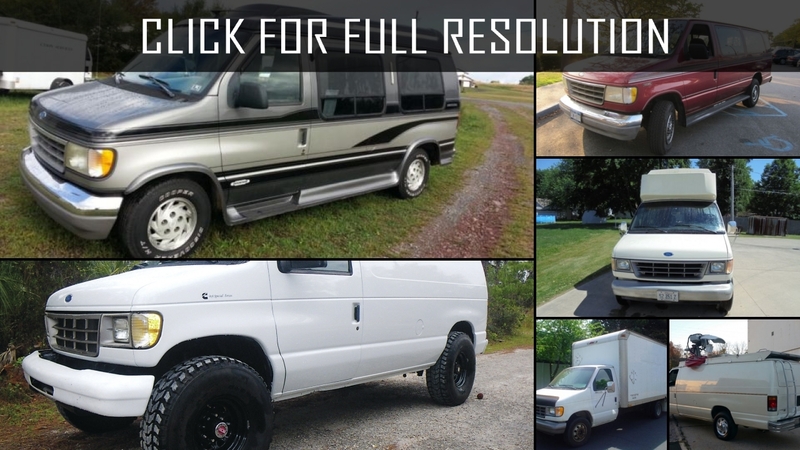 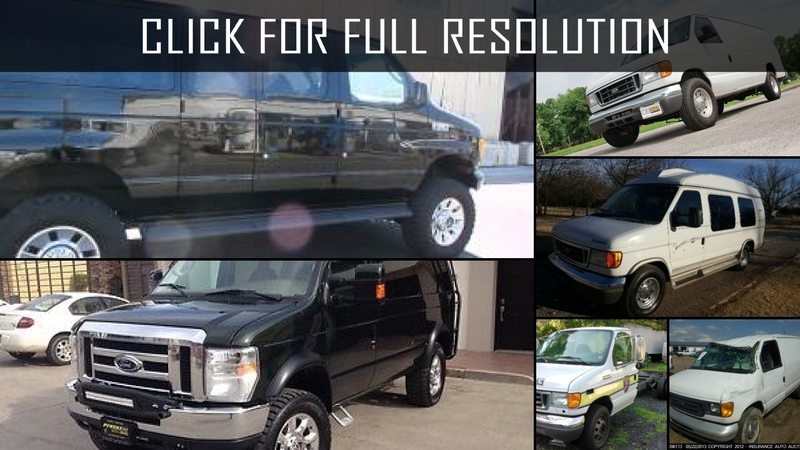 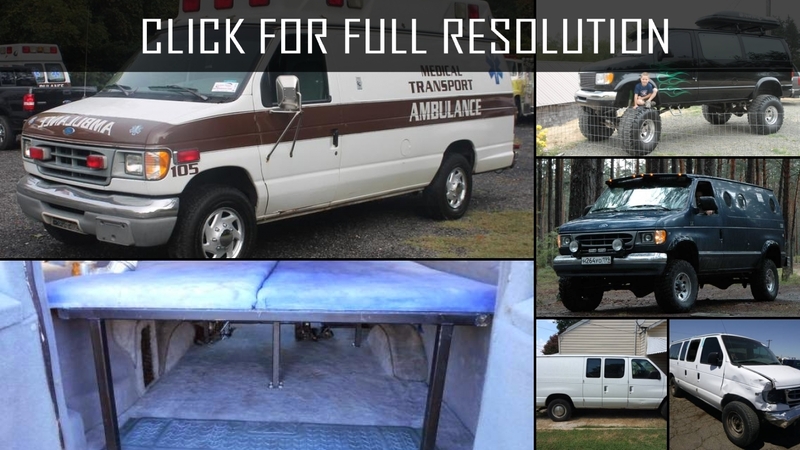 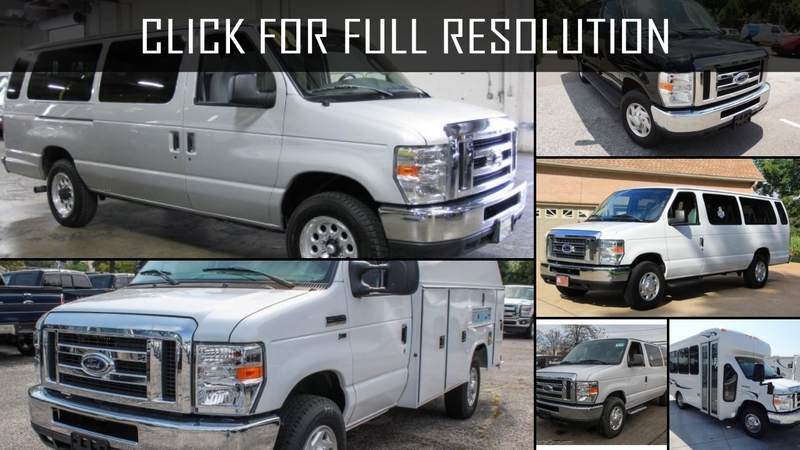 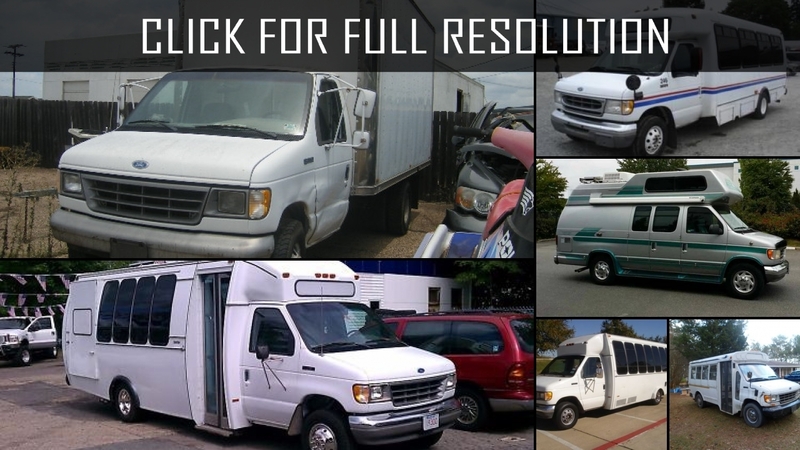 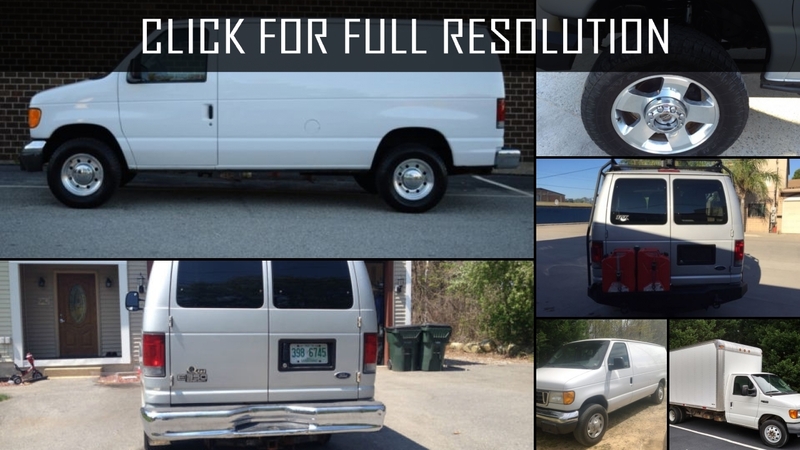 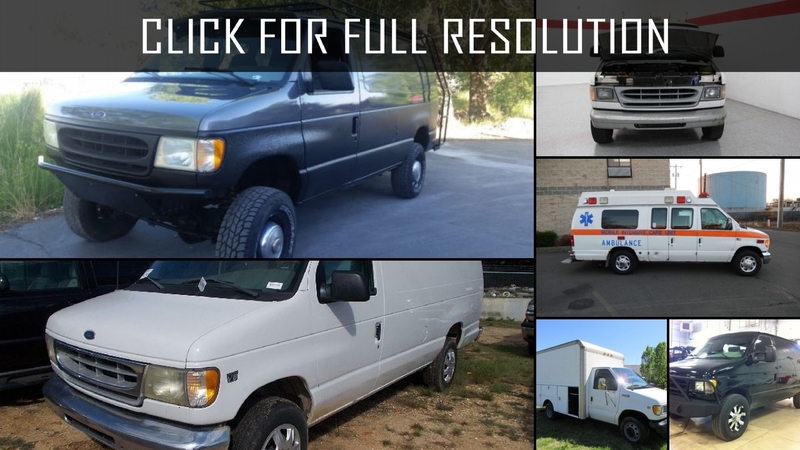 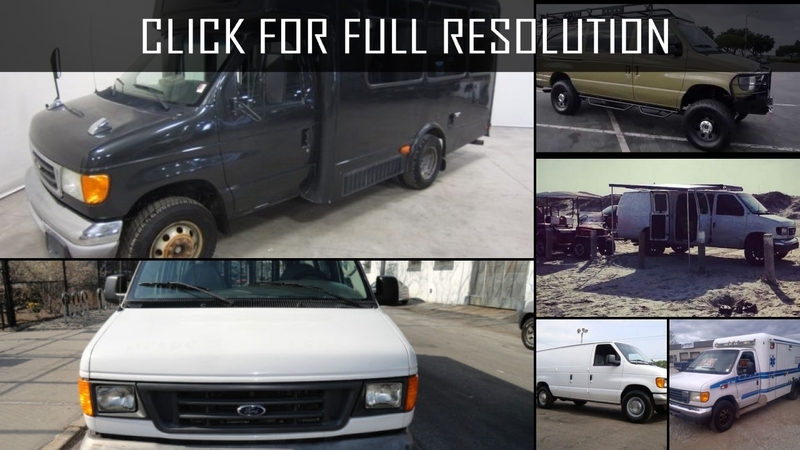 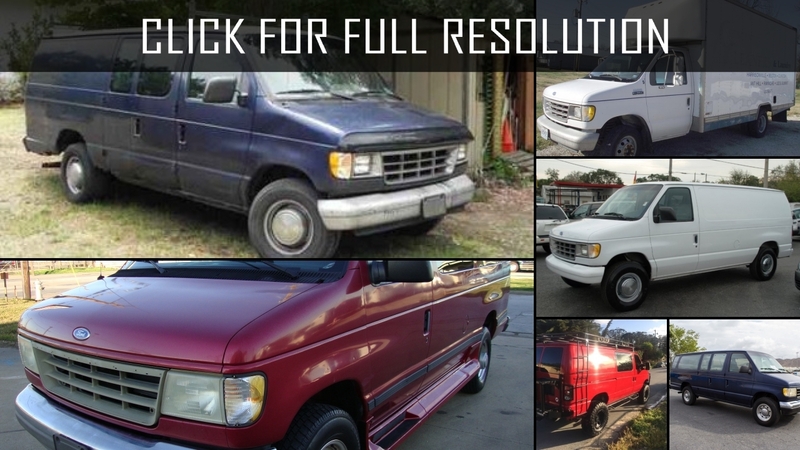 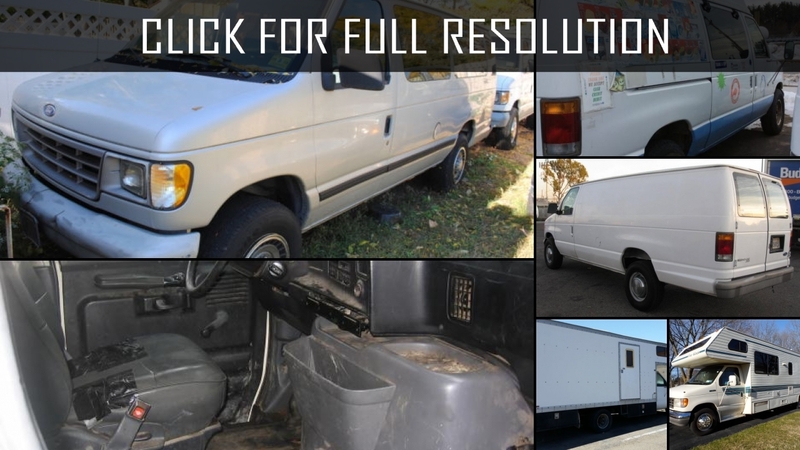 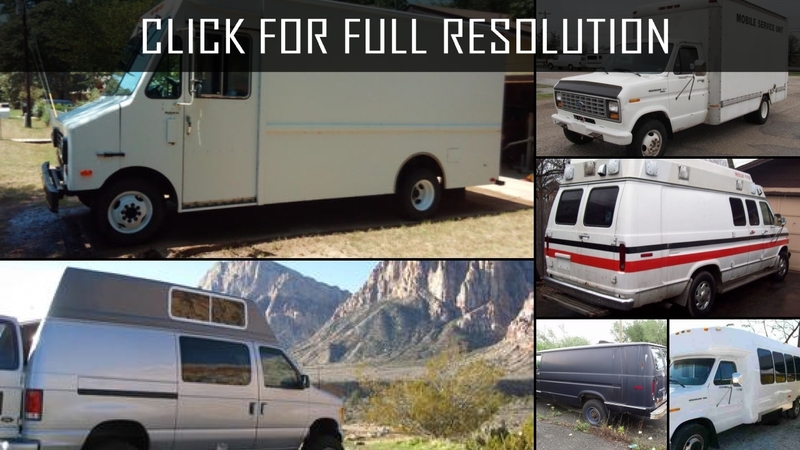 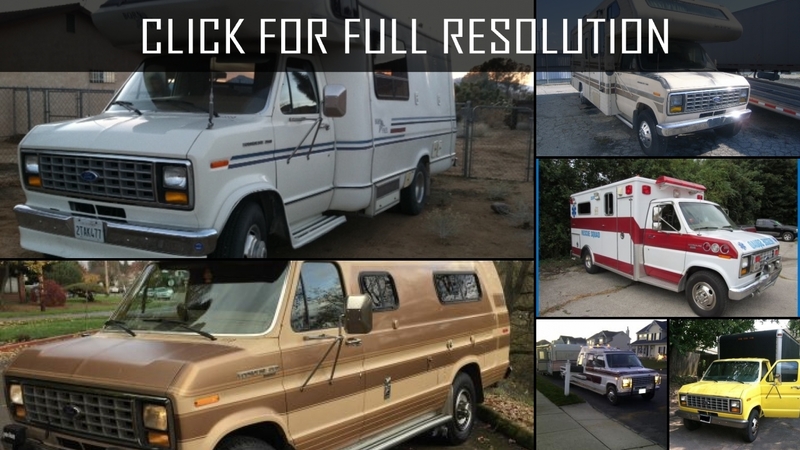 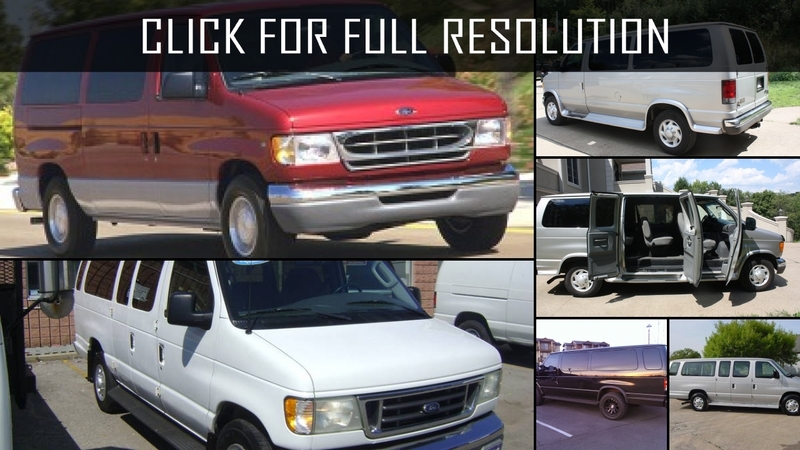 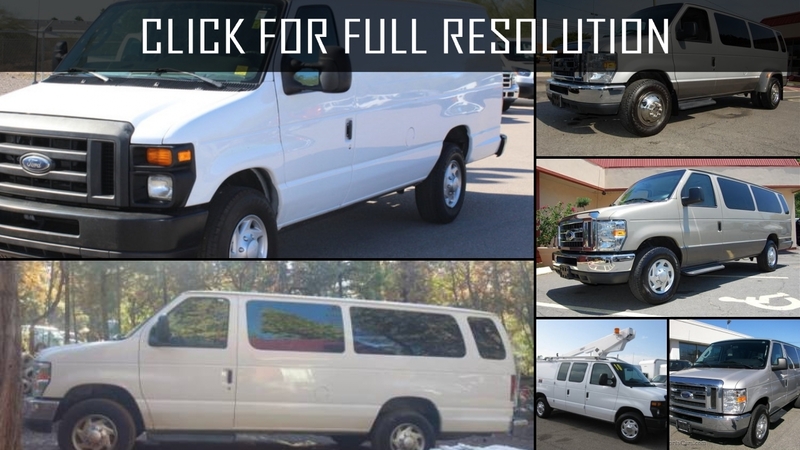 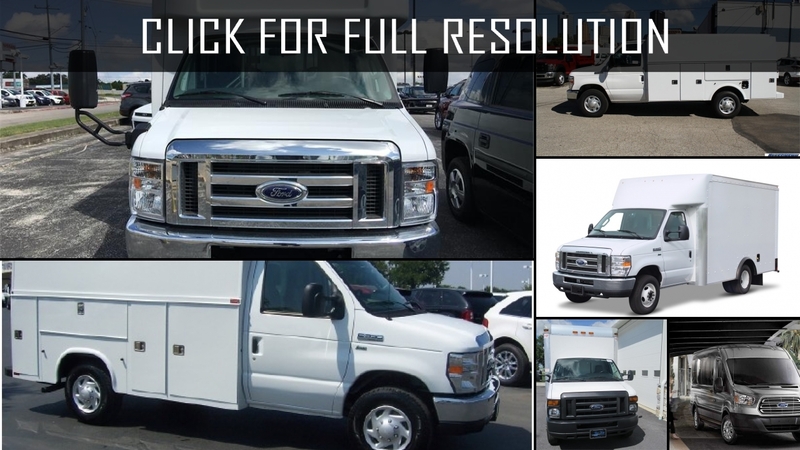 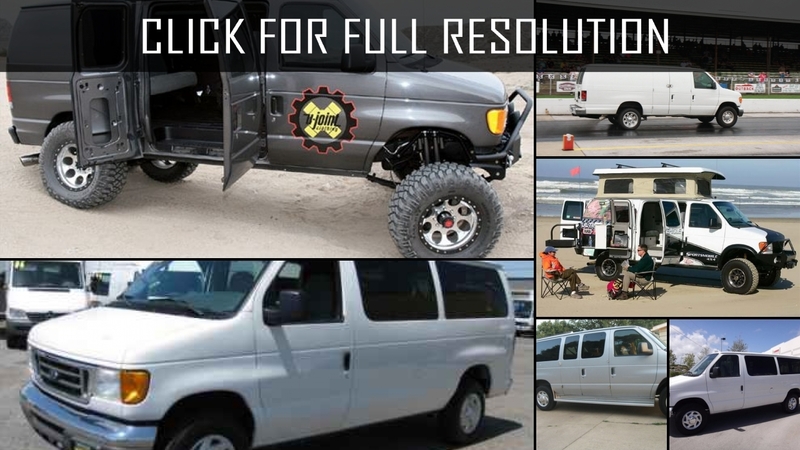 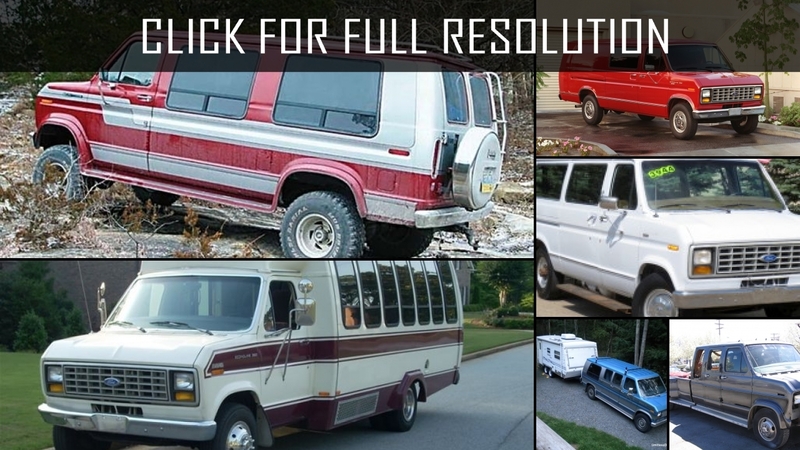 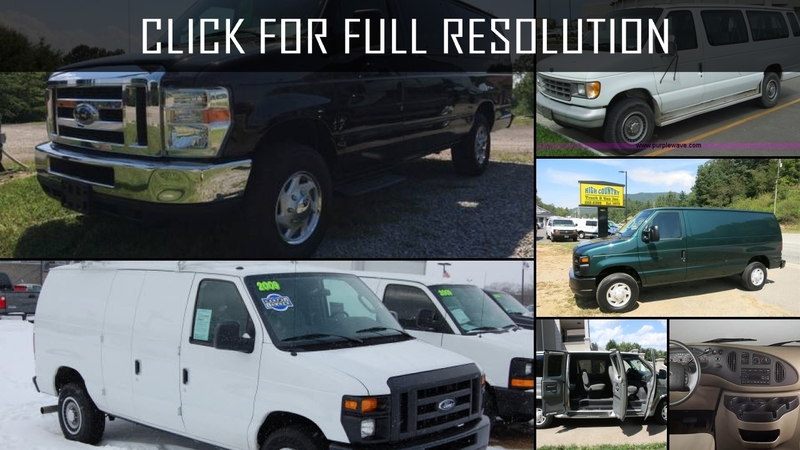 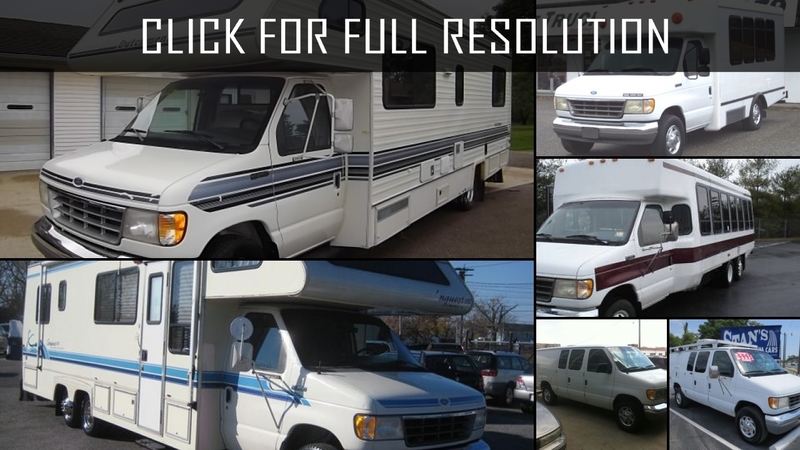 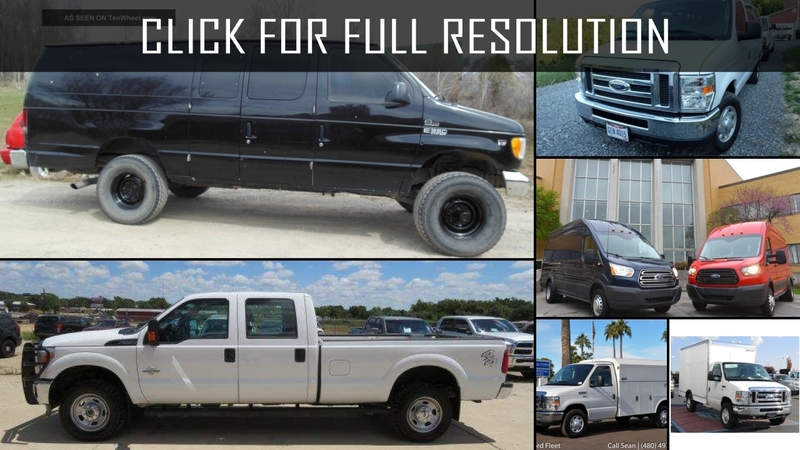 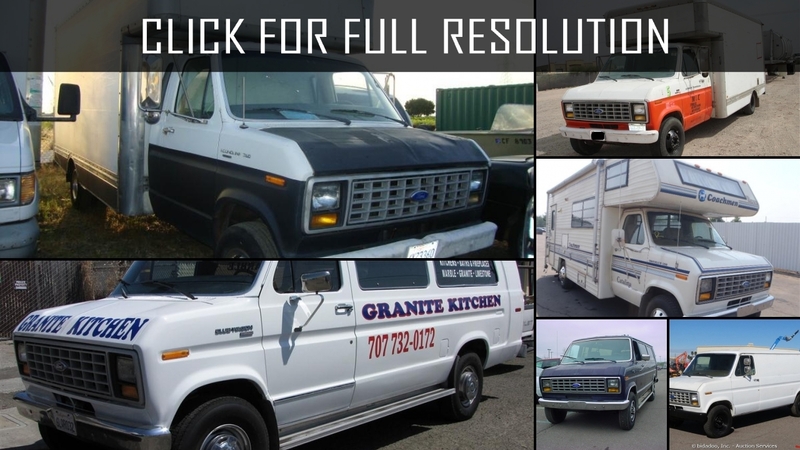 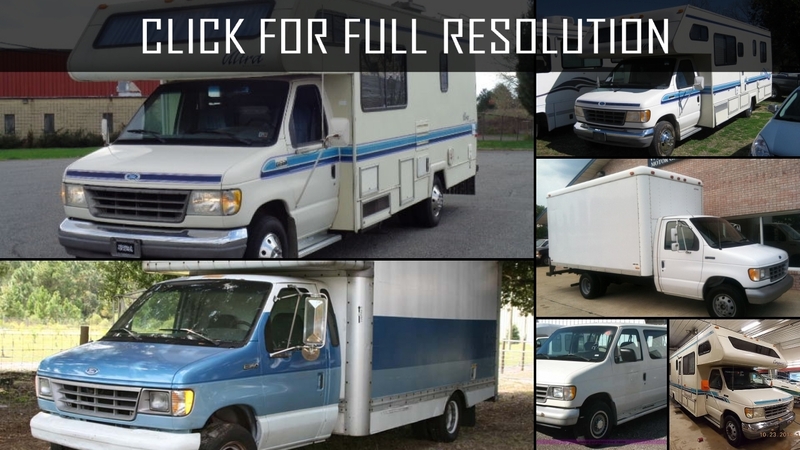 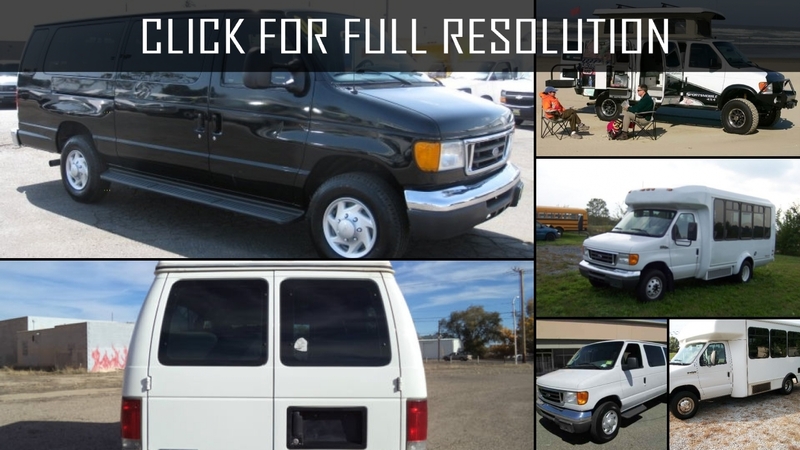 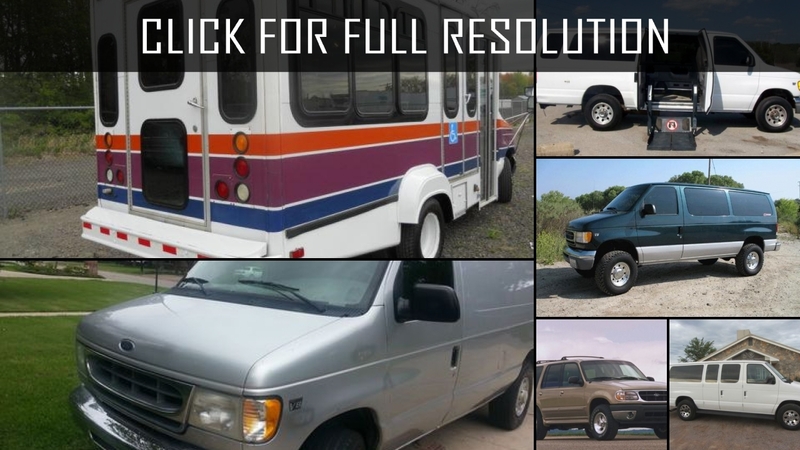 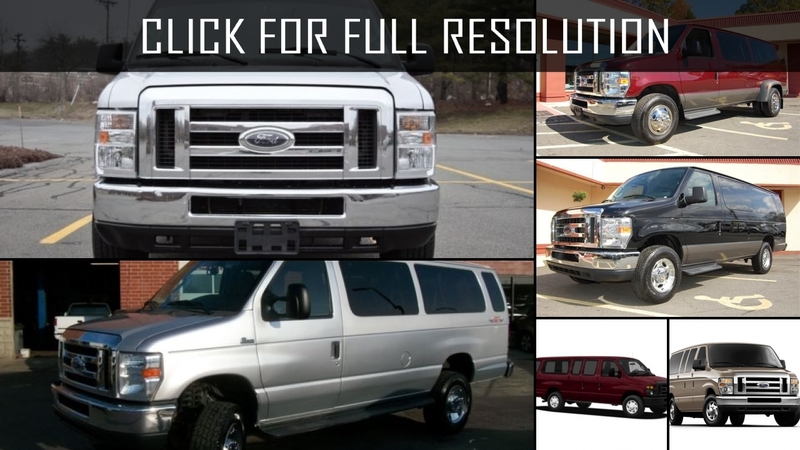 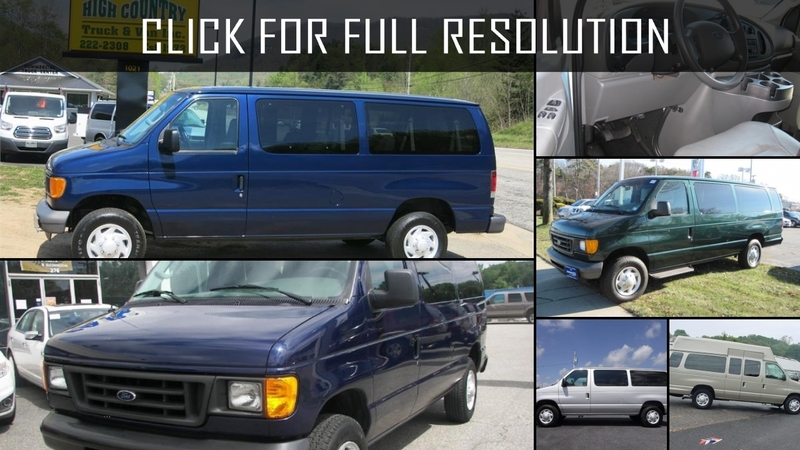 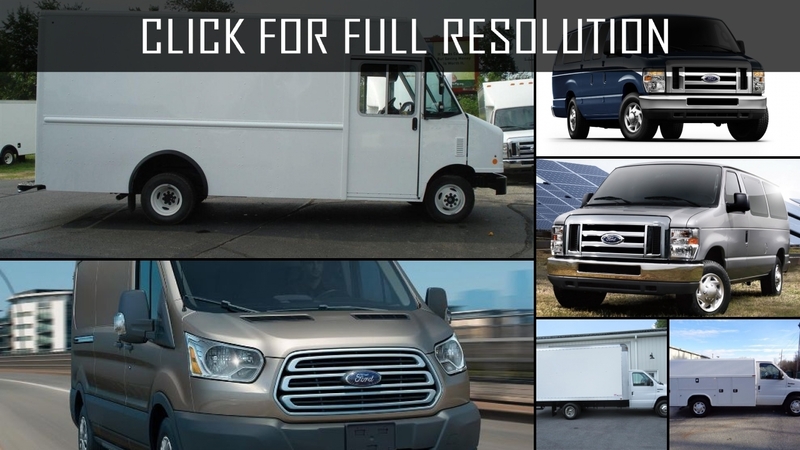 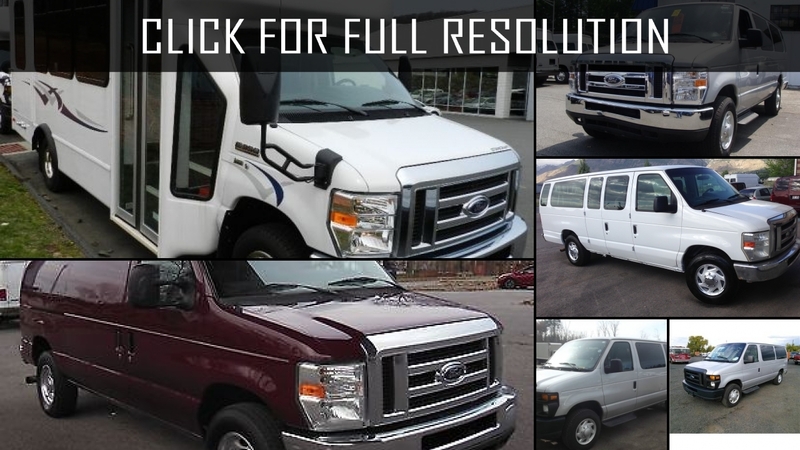 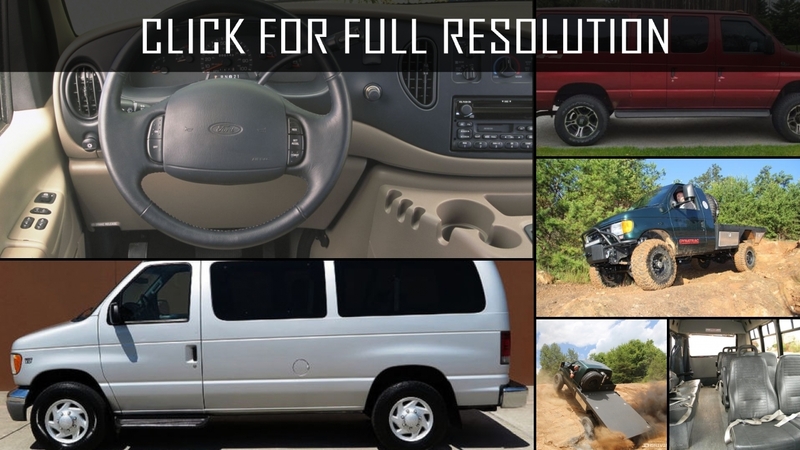 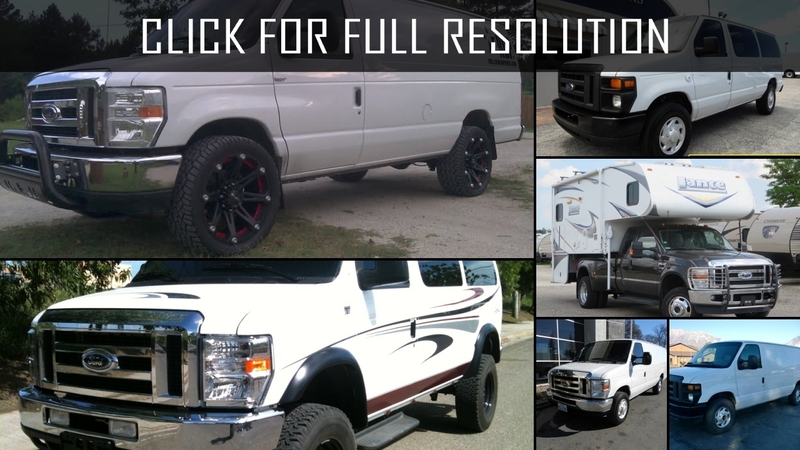 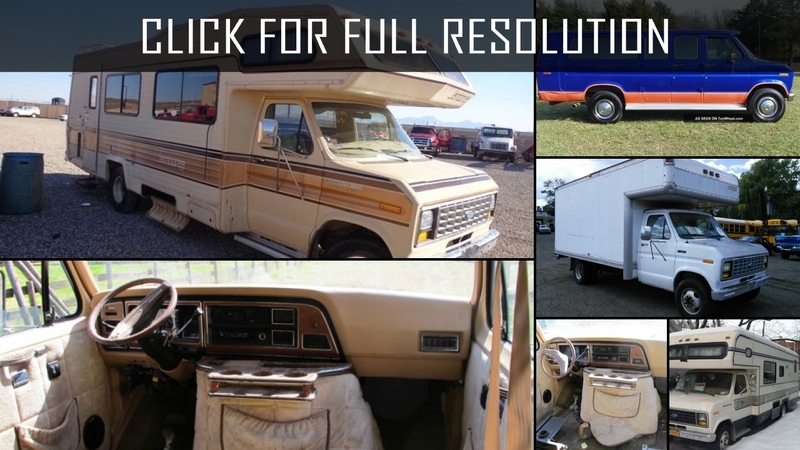 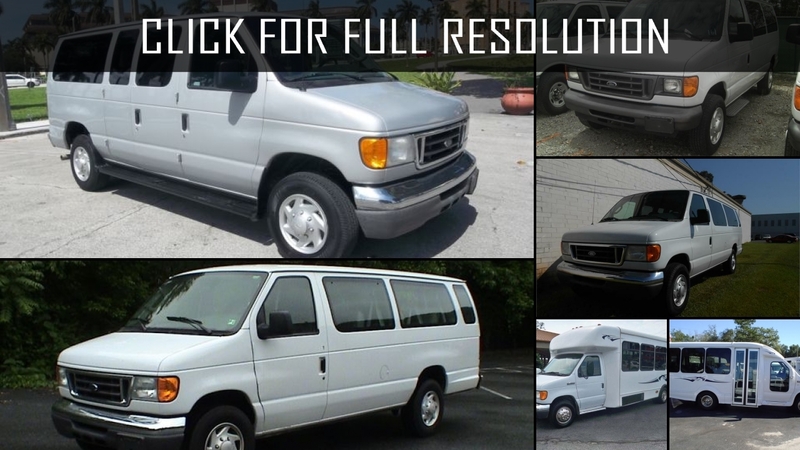 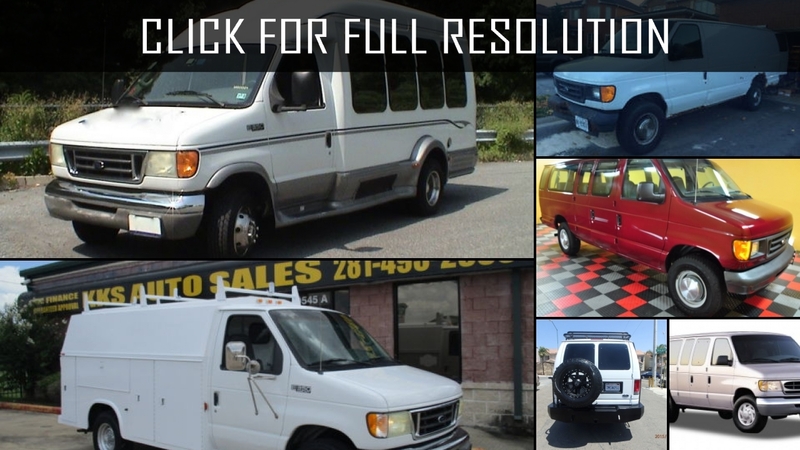 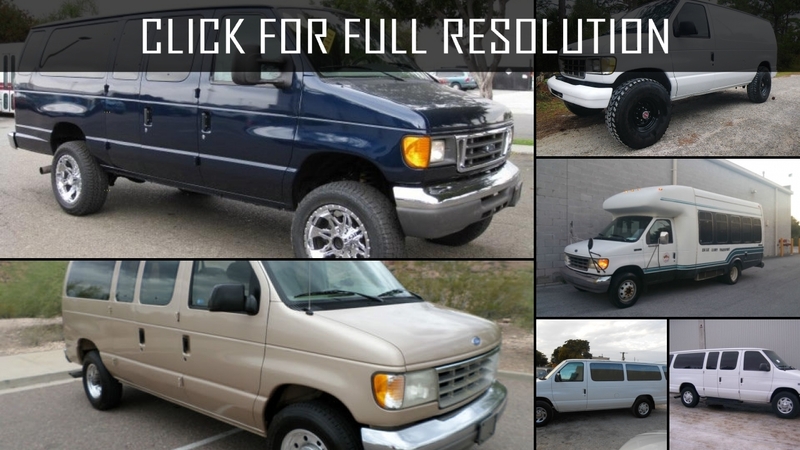 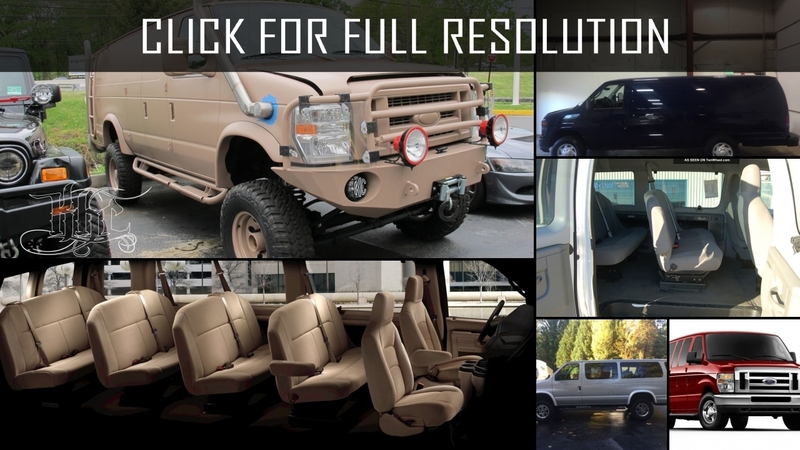 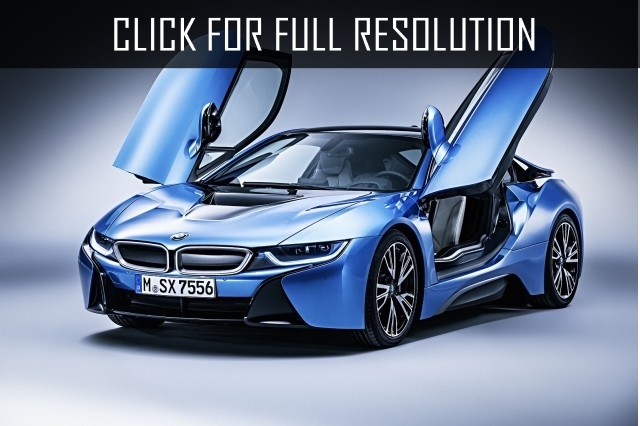 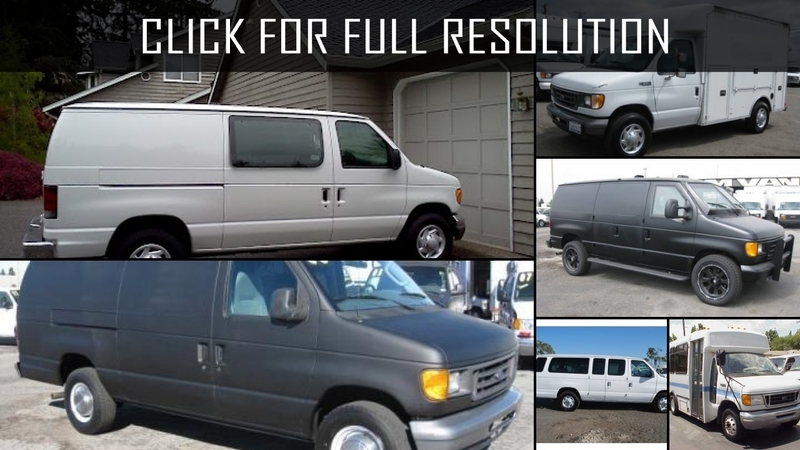 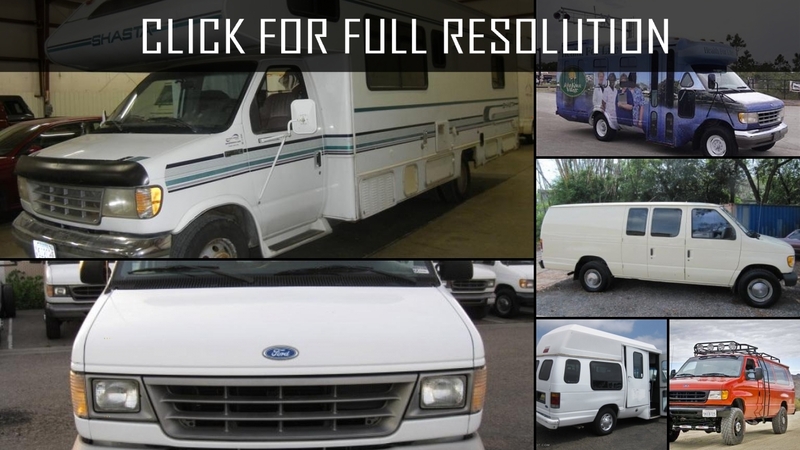 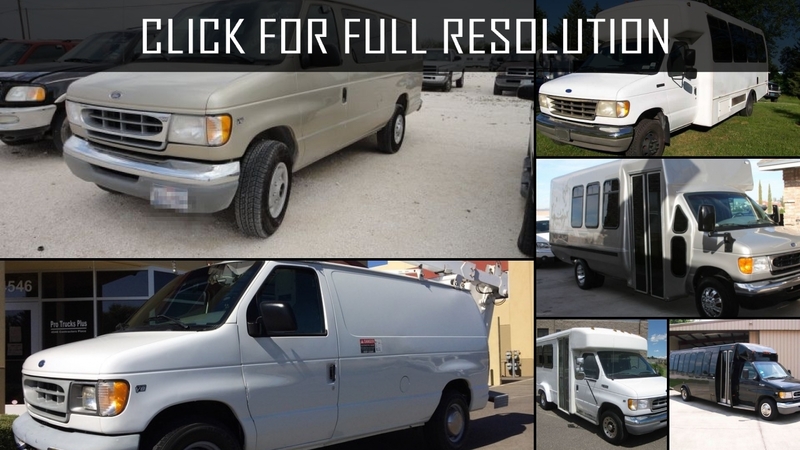 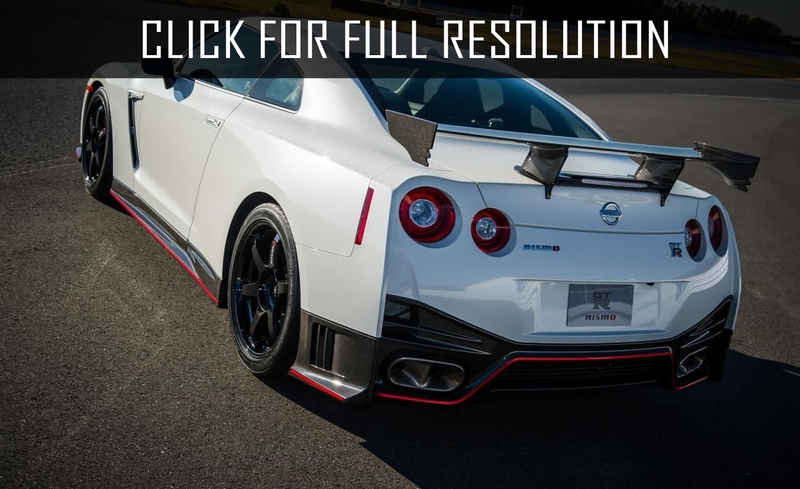 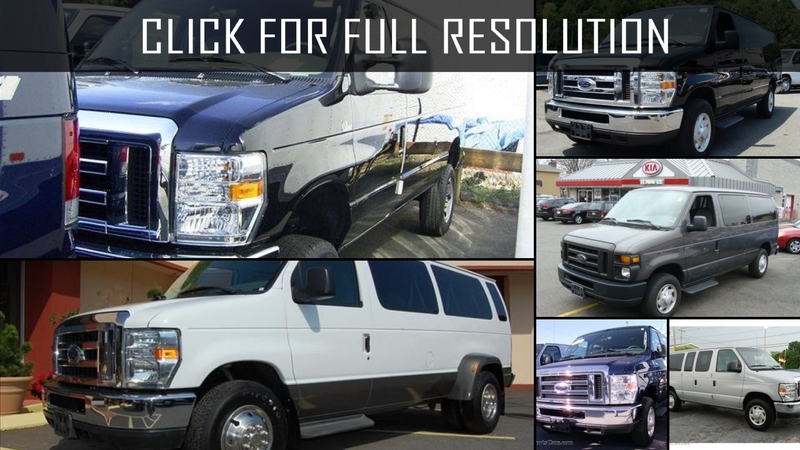 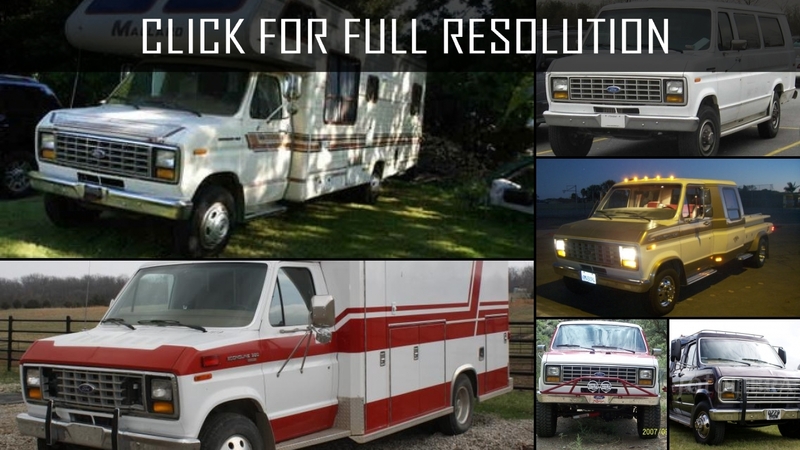 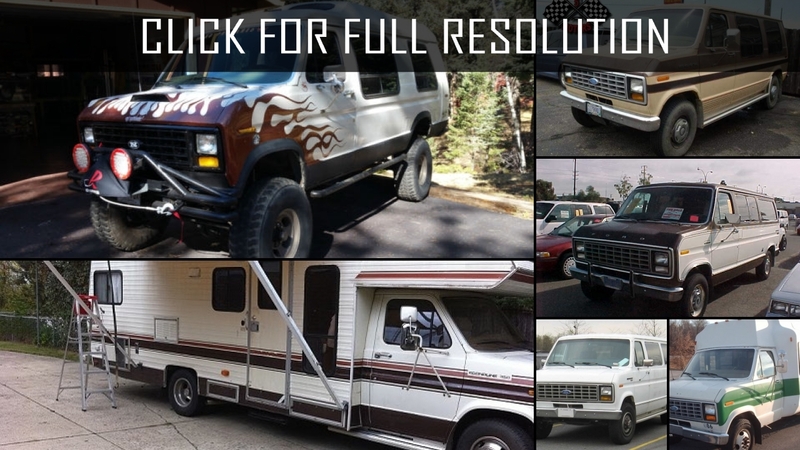 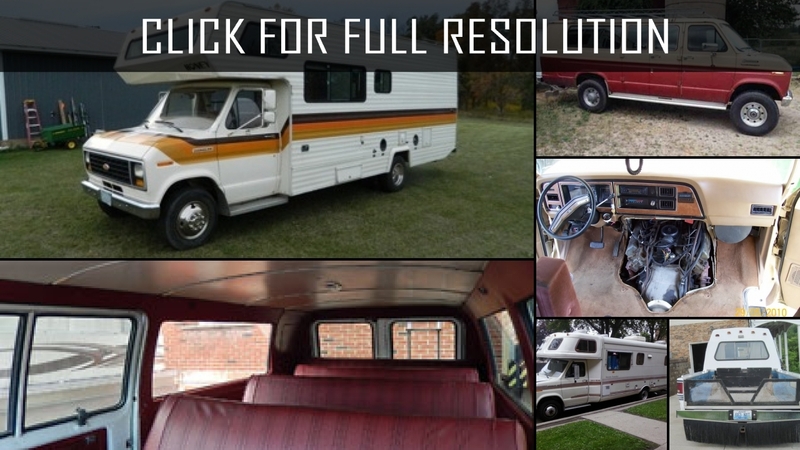 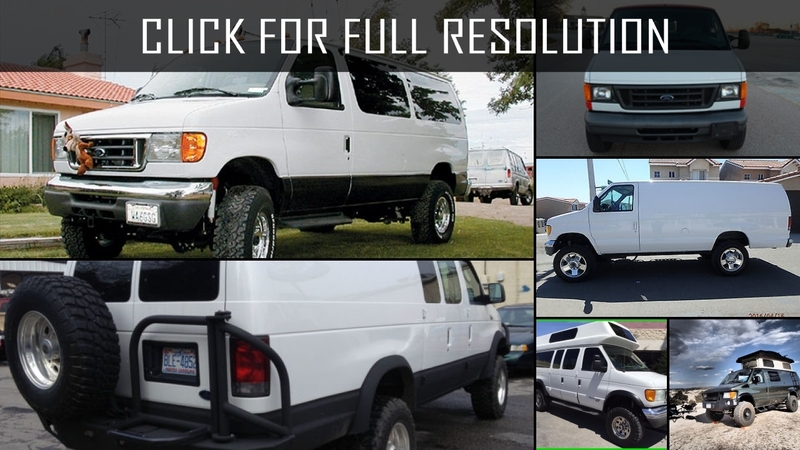 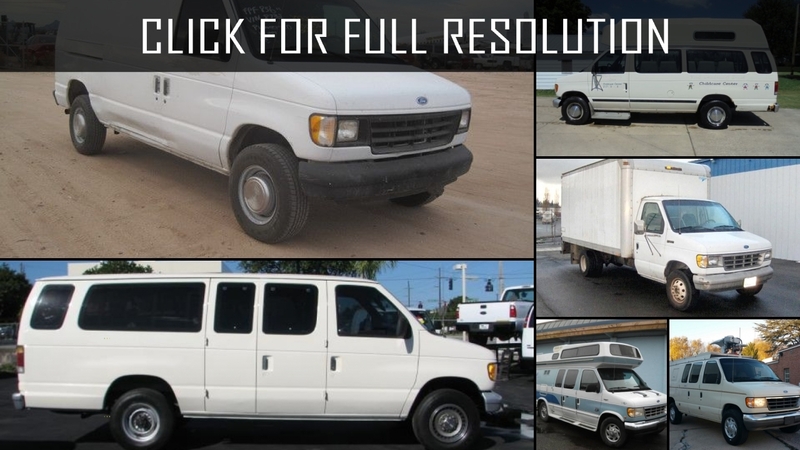 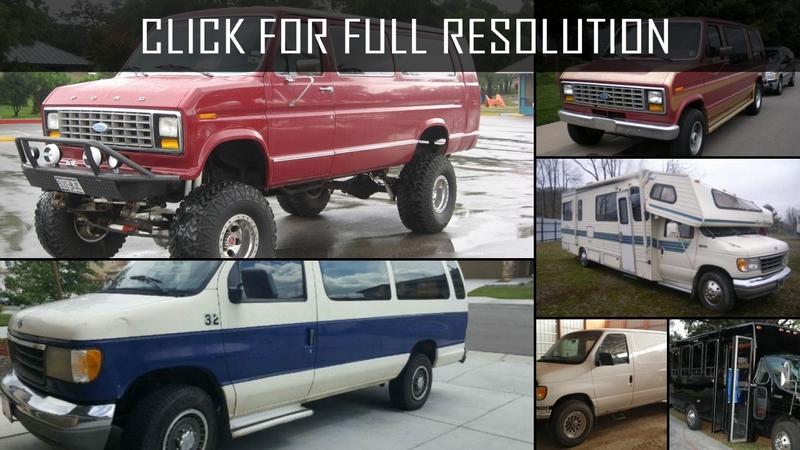 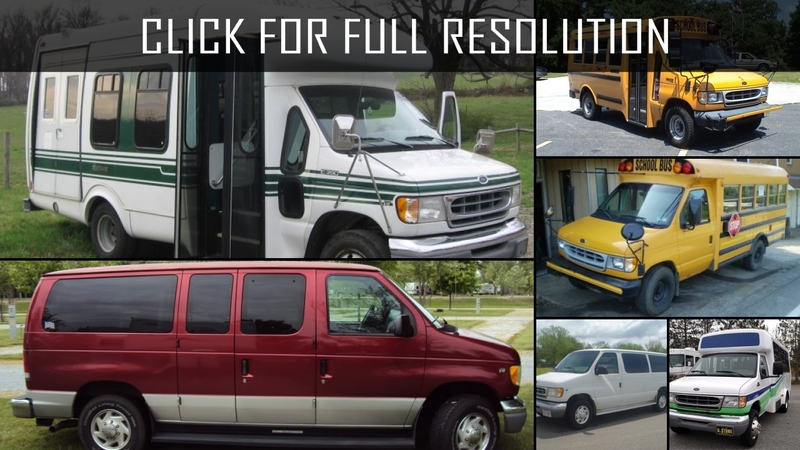 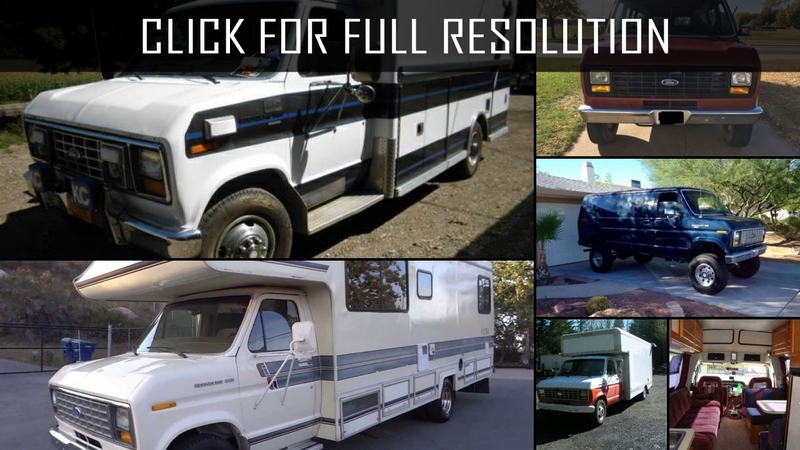 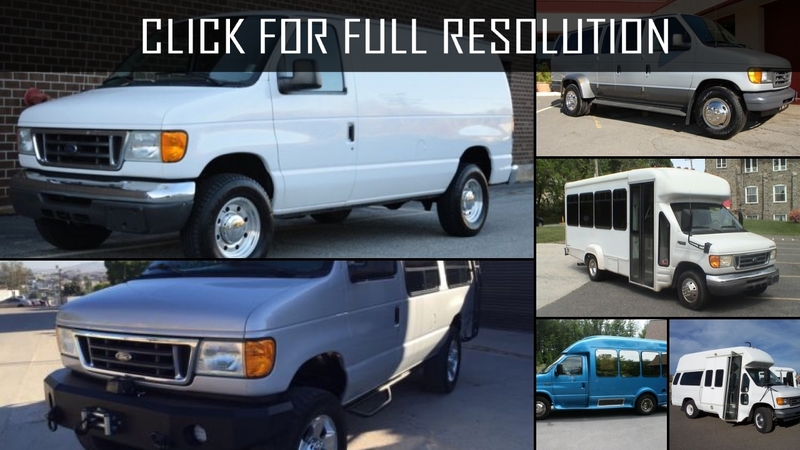 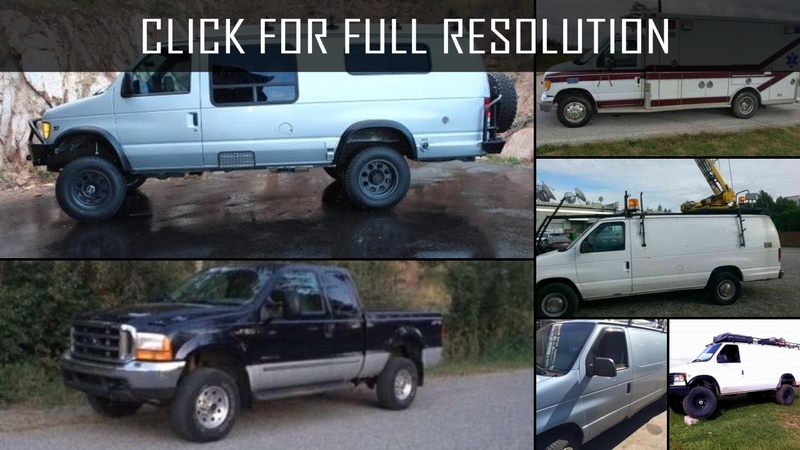 Discover and enjoy Ford E350 image collections, news, wallpapers, MSRP, ratings on this huge database of cars and bikes - Masbukti. 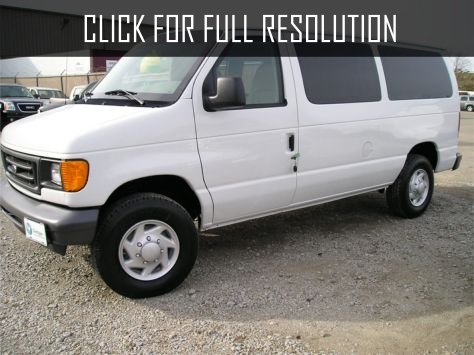 Average rating of all available versions of Ford E350 is 4.1 out of 5.0.